No circuit is so trivial that it’s not worth thinking hard about. [Charles Wilkinson] wanted to drive a solenoid air valve that will stay open for long periods of time. This means reducing the holding current to prevent wasting so much power. He stumbled on this article that covers one approach in a ridiculous amount of depth. [Charles] made two videos about it, one where he debugs the circuit and learns things live on camera, and another where he sums it all up. We’ll be walking you through the long one, but feel free to skip around. We have lost something in PCB design over the last few decades. If you open up a piece of electronics from the 1960s you’ll see why. A PCB from that era is a thing of beauty, an organic mass of curving traces, an expression of the engineer’s art hand-crafted in black crêpe paper tape on transparent acetate. Now by comparison a PCB is a functional drawing of precise angles and parallel lines created in a CAD package, and though those of us who made PCBs in both eras welcome the ease of software design wholeheartedly we have to admit; PCBs just ain’t pretty any more. It doesn’t have to be that way though. Notable among the rebels are Boldport, whose latest board, a tribute to the late linear IC design legend [Bob Pease], slipped out this month. They use their own PCBmodE design software to create beautiful boards as works of art with the flowing lines you’d expect from a PCB created the old-fashioned way. The board itself is an update to an earlier Boldport design, and features Pease’s LM331 voltage to frequency converter IC converting light intensity to frequency and flashing an LED. It’s one of the application circuits from the datasheet with a little extra to drive the LED. Best of all the kit is a piece of open-source hardware, so you can find all its resources on GitHub. We are fans of Boldport’s work here at Hackaday, and it should come as no surprise that we have featured them before. From one of their other kits through several different pieces of PCB wall art, to their work making an appearance in Marie Claire magazine they have graced these pages several times, and we hope this latest board will be one of many more. We are saddened by the recent passing of [Bob Pease]. You may not be familiar with the man, but his work has touched your lives in more ways than you can count. As an electronics engineer who specialized in analog components he was responsible for hardware that made some of the electronics in your life possible, and designed components that you’ve probably used if you dabble in electronic design. EDN has a lengthy obituary celebrating his life and accomplishments. [Bob] was part of the 1961 graduating class at MIT. He started his career designing tube amplifiers before finding his way to a position at National Semiconductor about fifteen years later. 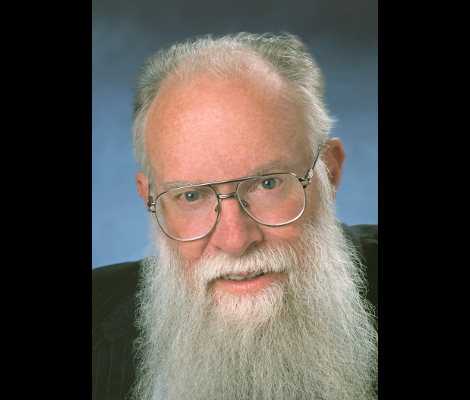 Throughout his career he worked to promote education about analog electronics both through written text, and more recently as the host of Analog by Design, an online video program where a panel of experts discuss the ins and outs of electronics. [Bob] was killed in an automobile accident on June 18th at the age of 70.